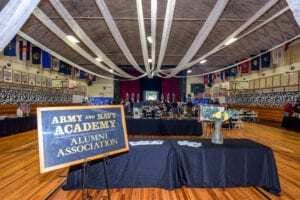 The Army and Navy Academy Alumni Association (ANAAA) supports the Academy by increasing outreach and preserving its legacy to ensure that the campus and community continue to thrive for the next generation of Warriors. Recent projects have included the renovation of the Atkinson Museum, which now proudly showcases Academy artifacts and memorabilia. The Alumni Association is committed to keeping you informed of projects, networking opportunities, and Academy events. There are many ways to get involved. Whether you’re interested in participating on a committee, volunteering your time on campus, or simply staying in touch with us, we want to hear from you. 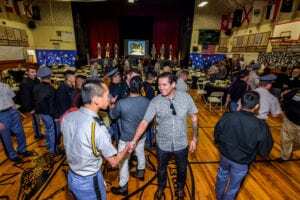 For more information on how you can get involved, contact the Development Office via email at alumni@armyandnavyacademy.org or phone at 760.547.5276.